The Mass of Christian Burial, celebrating the life of Louis T. Wentland, age 90 of Holdingford, will be 11:00 AM, Tuesday February at the Church of All Saints, St. Hedwig Catholic Church in Holdingford. Burial will be in the parish cemetery. Louis died at the St. Cloud V.A. Medical Center in St. Cloud on Thursday. There will be a visitation from 4-8:00 PM Monday, and again after 10:00 AM Tuesday at the church in Holdingford. St. Hedwigs parish prayers will be at 4:00 PM Monday followed by the Holdingford American Legion and the VFW at 5:00 PM. The Knights of Columbus and the Christian Mothers will play the rosary at 7:00 PM. Arrangements are being made by the Miller-Carlin Funeral Homes. 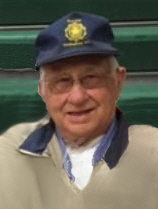 Louis was born August 25, 1928 in Holding Township to Ignatius and Anna (Bieniek) Wentland. He graduated from high school and entered the U.S. Army, serving from 1952 until 1954. He married Eleanor Binsfeld on June 17, 1952 in St. Stanislaus Koska Catholic Church in Bowlus. The couple farmed together for the rest of his life. Louis also drove bus for the Holdingford schools for 46 years. He was a member of the Church of All Saints, St. Hedwigs where he was in the church choir as well as an usher. He was also a member of the Holdingford American Legion, the Holdingford VFW, and the Holdingford Knights of Columbus. Louis is survived by his wife, Eleanor, Holdingford; his children; Donny (Mary) Wentland, Holdingford; Dale (Linda) Wentland, Holdingford; Patrick (Ann Marie) Wentland, Holdingford; Darice (Daniel) Stommes, Albany; Darryl Wentland, Bowlus; Gary (Ann) Wentland, Holdingford; Sharon (Steve) Prokott, Avon; Lori (Mike) Kuklok, Holdingford, and his nephew who he and Eleanor raised, LeRoy Marsolek, HI. He is also survived by 28 grandchildren and 19 great-grandchildren. He is preceded in death by his parents, infant daughter, Debbie Wentland, granddaughter Maria Prokott; and brothers and sisters, Leo Wentland, Josephine Winskowski, Mary Wentland, Dorothy Psyck, Adelaide Stanoch, Rose Marsolek, Roman Wentland, Stanley Wentland, Arthur Wentland, Ambrose Wentland and Anthony Wentland. There will be a visitation from 4-8:00 PM Monday, and again after 10:00 AM Tuesday at the Church of All Saints, St. Hedwig Catholic Church in Holdingford. The Church of All Saints, St. Hedwig Catholic Church in Holdingford. The Mass of Christian Burial, celebrating the life of Louis T. Wentland, age 90 of Holdingford, will be 11:00 AM, Tuesday February at the Church of All Saints, St. Hedwig Catholic Church in Holdingford. You have my sympathy he was a great bus driver.